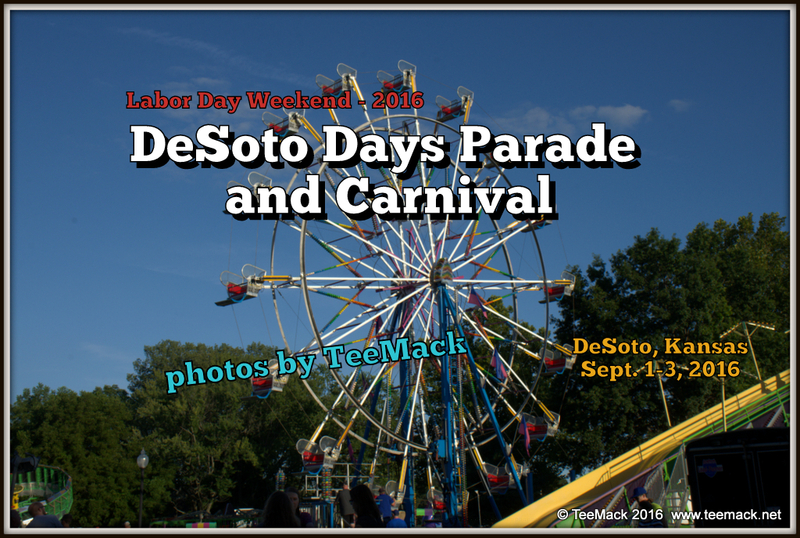 The 52nd Annual DeSoto Days Festival, Parade and Carnival was held over Labor Day weekend in DeSoto, Kansas from Sept. 1-3, 2016. The Celebration kicked off with the Midland Empire Carnival setting up Carnival Rides in Miller Memorial Park on Thursday, Sept. 1, 2016 and continued through Saturday Sept. 3, 2015. Along with the carnival there were various food venders, crafts and arts for everyone to enjoy. Various Bands including The Rippers and Pompous Jack provided entertainment for the celebration. 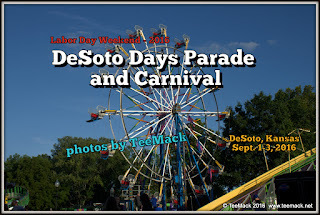 On Saturday there was a parade through downtown DeSoto, Kansas. Leading off this year's parade were classic cars and trucks from around the area. This year's parade ended at Miller Memorial Park and included a car show adjacent to Miller Park. After the Parade, various Fire Departments from around the area conducted a Fire Fighter Challenge Demonstrations. Click here to view individual photos or to purchase high quality prints.